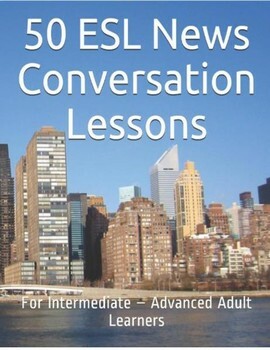 50 ESL News Conversation Lessons are materials designed for adult Intermediate to Advanced level English language learners and provides 50 practical 50-minute ESL conversation lessons for ESL teachers or learners, whether one-on-one or group classes. 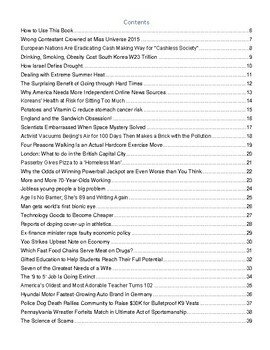 The topics have been designed to be timeless; meaning, they can be used without dating as a means to springboard into conversations about the subjects. 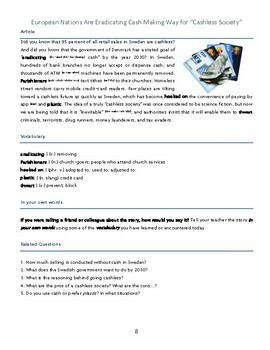 Many of the lessons have an Asian perspective but can be utilized for any nationality for engaging in conversation. 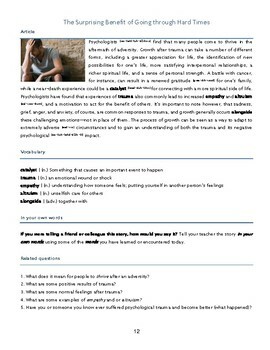 These are are freshly-formatted, no-frill ESL lessons that contain short news articles, pronunciation and intonation guidance, vocabulary review, opportunities for the learner to express the story in his/her own words (paraphrasing), with related comprehension and extension questions that target the development of confidence and fluency in English language conversations.